Dog-Friendly Holidays Finding That Perfect Location! Bringing your dog on holiday can be harder than you think! Here at Dog-Friendly Scene, we strive to bring you the best dog-friendly holidays that will accommodate your canine friends. The whole reason we created this website was to bring our readers a safe place to take our dogs with us for family fun! Here at Dog-Friendly scene, we know how much our pets mean to us and we love to take our mascot, Pippy, everywhere we go! We have put in the research and only feature the best in dog-friendly holiday homes, cottages, lodges, and manors. If you love your four-legged friend and don’t want to put him/her in the kennels for a few days and cause distress then take your dog on holiday where it belongs with the family and can enjoy all the fun at the fair by your side! 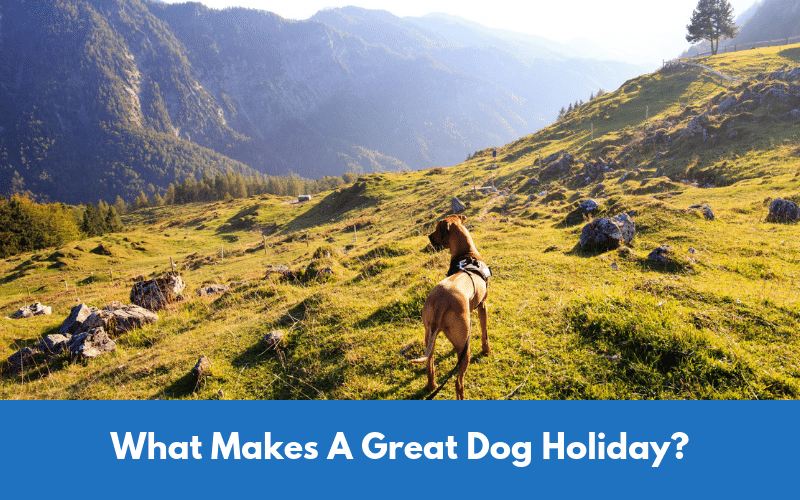 What Makes A Great Dog Holiday? Obviously, the perfect dog holiday must feature a garden, local countryside for long walks or even a dog spa for a special treat. As long as your dog is well behaved, trained and has a good call-back then you can stay at one of our featured holiday homes listed on our website. We created this website because we found it hard to find suitable accommodation for Pippy. So we know how hard it can be finding a safe location that’s not frowned upon if you arrive with your dog. What Is A Dog-Friendly Holiday? Our experience of a great dog-friendly holiday is a safe location, in the country or a town or village. This gives us plenty of room for long walks and activities we can enjoy with our dogs. A dog-friendly holiday is not in the city unless you’re going for a specialized dog retreat with its own grounds so you can let your dog run around. 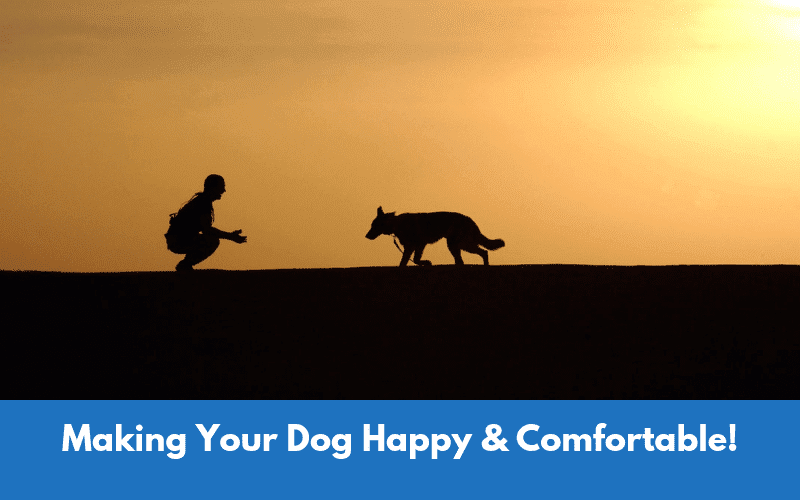 Making Your Dog Happy & Comfortable! We believe a dog needs a holiday just like ourselves, yes a dog can get stressed at the kennels or seeing a dog sitter twice a day. So taking your dog with you on a family break will cheer him or her up and give him much more confidence. Especially if you live in the city, where they only really get to visit small parks or long walks around the block. Because your dog is part of the family, it’s only right that your canine friend should accompany you and your children on holiday. remember that all locations featured on our website are dog-friendly and accept well-behaved dogs. A dog-friendly holiday can be enjoyed all year round, be it coastal, forest, lakes, and countryside. Bring your canine friend to one of our dog-friendly cottages or cabins that are located all over the Uk. Does your dog love to explore the woods or does your dog prefer swimming or running in open fields? Browse Our Featured Dog Holiday Listings! We love hearing your dog holidays stories and recommendations on the many dog-friendly holiday locations around the UK. If you have a suggestion and a great experience then we want to hear about it! This will also give us a chance to feature the location on our website for other readers to discover and book their perfect holiday! 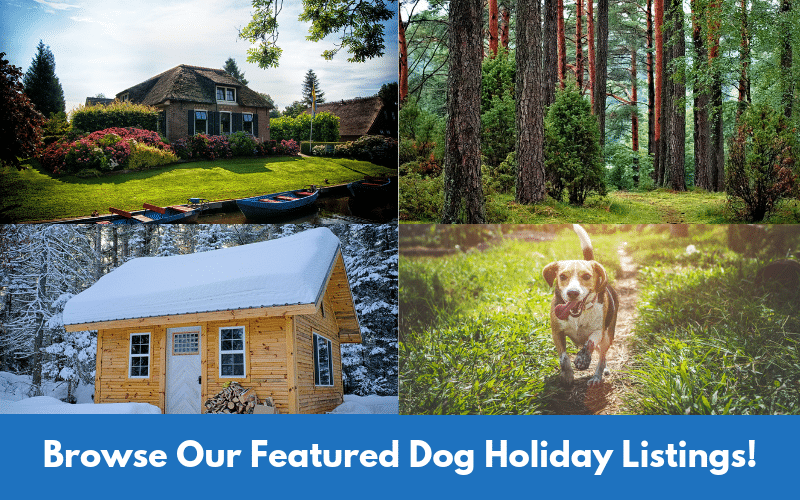 Feature Your Own Dog-Friendly Holiday! Are you an owner of a dog-friendly property that you would like to list? We are always looking for new listings to share with our many readers. If you believe your hotel, lodge, barn or cottage will offer our readers a great experience then list your property today and get featured on the best dog-friendly website on the web. List it today!